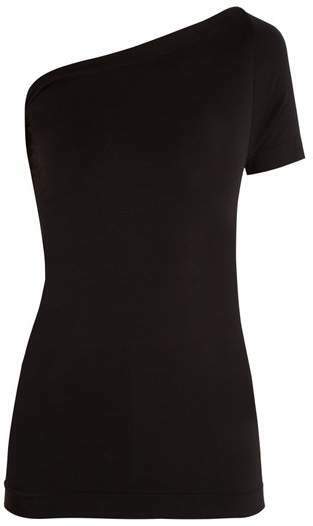 Helmut Lang - This black one-shoulder top nods to Helmut Lang's minimalist 1990s aesthetic. It's made from lightweight stretch fabric, and constructed with a seamless bodice for a flawless form-fitting shape. Style yours with tailored trousers and leather mules for a confident evening look.